Anyone who is in business will know the importance of banks and the business financial advice that they give. Banks should be one of the first ports of call for any start-up looking for expert advice. Banks will be able to give extensive advice on a wide range of financial products and service that will be pertinent to your business. Anyone going into business for themselves should always consider their options when it comes to sound financial advice. 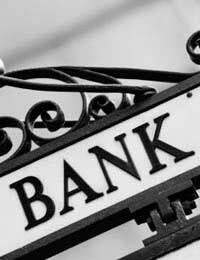 Your own bank branch should be initially contacted before you even begin to write your business plan. Banks will have their own business department and will have start-up guides available. The guide will contain a lot of useful information including advice on writing business plans. Guides available from banks will contain almost all of the information needed to start a business. Information should include advice on National Insurance, income tax and VAT. The guide may give examples of how similar businesses achieved success in their field, and the best services and products that will help you to maintain your company. There should also be advice on accounting and record keeping issues and payroll solutions. The other plus point regarding financial advice from your bank is that all the information and advice should be free to business customers. Not all banks will offer the same level of business advice. There may be some that will only deal with larger established businesses so it will be in your best interest to shop around if you are a start-up. Your own branch should be the first port of call, and you should already have some idea of your relationship with your bank. However, all banks should have some form of business services departments and should be able to advise on bank accounts and services that will be best suited to your needs. The financial advice sector is a competitive market and there are a few considerations to take into account before heading straight to your bank. Banks will have their own financial advisors but in most cases they will only promote the bank’s own products and services. The advisors may work on commission and will no doubt earn bonuses for products and services they sell. This does not mean the advice they give or the products they promote are no good, it simply means you may be able to find a better deal elsewhere. Take advice but never jump in straight away without considering other avenues such as independent financial advisors. Recommendations and references from contacts can be very useful when trying to choose a bank for your business needs. If you have friends who have been, or are in business, then asking them for a recommendation may be a wise option. They will be able to tell you if they get a good service from their bank or if they’ve used a bank in the past that should be avoided. Word of mouth recommendations from business friends will usually be unbiased, and you can always mention to the bank who it was that recommended you to them. Beginning and maintaining a good working relationship with your bank is vital. Most businesses would not be able to survive if it was not for the help and advice given through their banks. Getting support from your bank will go a long way to both setting up and maintaining your business. The advice is free and expert staff are on hand to help with your financial needs. This source of information and advice should never be underestimated when it comes to starting and running your own business.